It wasn’t just Seattle’s skyline that turned blue on the night of Nov. 3: Back east in the nation’s capital, the Smithsonian Institution’s National Air and Space Museum cast a blue spotlight on the history-making SpaceShipOne rocket plane in honor of the late Microsoft co-founder Paul Allen, who provided the money that helped it fly to space. 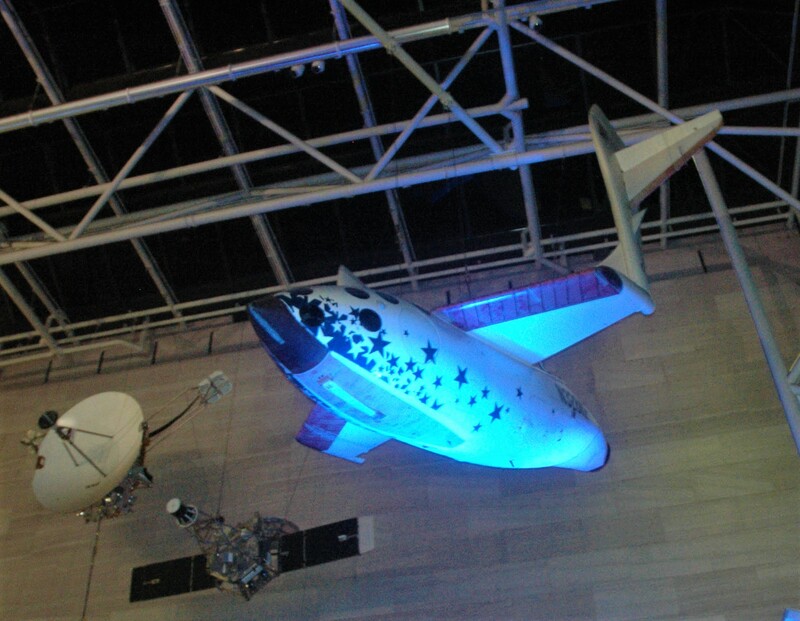 This entry was posted in GeekWire and tagged Paul Allen, Space, SpaceShipOne. Bookmark the permalink.